The enhanced use lease concept is being utilized by the federal government as a means to privatize government property in order to economize on certain property operations. The VA project referred to above is an example of an enhanced use lease project involving a 75-year lease of the otherwise underutilized land and buildings. In August 2005 we signed the Enhance Use Lease for this property on the Leavenworth VA campus. 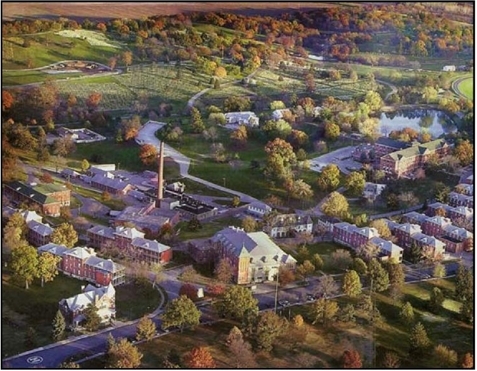 The VA accepted our Eisenhower Ridge redevelopment plan, determining it woulld: 1) contribute to the VA's mission; 2) expand residential health care and transitional housing opportunities for veterans; 3) reduce or eliminate the need for some future VA operating capital investments; 4) improve the historic properties using the Secretary of Interior's preservation standards; and 5) do so at no cost to the VA. While meeting all of those desired goals directly affecting the federal government, we further believe this plan will foster potential job creation and other benefits for the local community - a win-win situation for all concerned. In order to appropriately respond to these opportunities, Pioneer Group assembles a team of the best experts available to deal with each aspect of such projects. Combining the best financial organizations, the best preservation experts, a top notch architectural firm, top of the line construction teams, and an excellent property management company, plus a number of active individuals from the local community, the teams devise plans to preserve historic structures and to combine them with the non-historic buildings putting the entire property to a new use. The concept of utilizing the enhanced use leasing program has application in other areas including military housing, and we look forward to additional opportunities to utilize much of what we have learned in developing neighborhoods and in preserving historic structures.